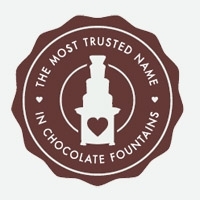 Sephra is recognized as the premier chocolate fountain brand around the world. Since our inception in 2003, Sephra has been the innovator in creating superior commercial chocolate fountains, chocolate fountains for home use and extraordinary, delicious chocolate for chocolate fountains, which flows perfectly every time. Sephra holds four US and international patents on its chocolate fountain innovations. Our commercial chocolate fountains are the only ones in the world which have been sanitation and electrically certified and comply with county and state health department codes for use in commercial food establishment settings. We have four sizes of commercial chocolate fountains. These unique and decorative chocolate fountains serve from to 20 to 300 guests without adding more chocolate.